National development across Africa continues to support the commitment undertaken by the 54 members of the African Union in Addis Ababa, Ethiopia in November 2016 to create a continent-wide free trade area. At the helm of this initiative is Africa’s transport sector, taking continuous strides to unlock cross-border opportunities for intra-African trade and development. There is a much to be gained from a free trade area for Africa, as intra-African trade is the lowest of any region in the world at a mere 10%. A properly executed free trade area could change the status quo and transform Africa. As projects and initiatives in support of transport infrastructure development to boost intra-African trade continue to crop up across the continent, Africa’s transport leaders take action to demonstrate their vision of modernised transport and free trade for the region. 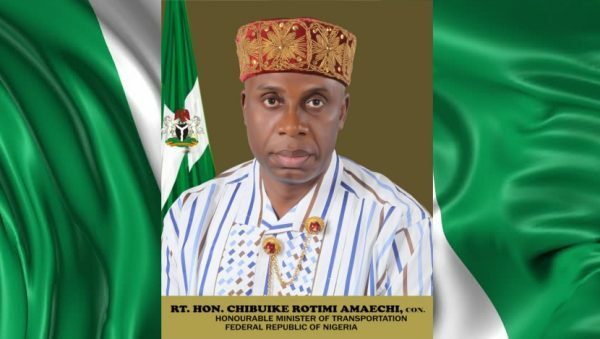 The Federal Republic of Nigeria has most recently reaffirmed its commitment to intra-African trade and development with the confirmation of The Honourable Chibuike Rotimi Amaechi, Nigeria’s Minister of Transport, to join the strategic round table discussions that will be held during the 6th annual African Ports Evolution Forum in Durban, South Africa this October. The Honourable Amaechi’s presence in Durban this October alongside Kenya’s Principal Secretary of Maritime and Shipping, Nancy Karigithu and South Africa’s Minister of Transport, The Honourable Joe Maswanganyi will catalyse the ensuing strategic pan-African discussions for cathartic expansion and modernisation of ports, corridors and multi-modal connectivity. The African Ports Evolution Forum, now in its 6th year, is an annual initiative created in response to Africa’s transport infrastructure gap. The initiative unites ports authorities, Ministries of Transport, terminal operators and rail operators to support the scale of development currently underway across the continent. Not only will Ministries of Transport from Nigeria to Kenya to South Africa be in attendance but also myriad ports authorities from Namport to Djibouti Ports and Free Zone Authority will be there to boost intra-African collaboration and prepare for post-neo-panamax shipping requirements as the 4th industrial revolution sweeps the globe and Africa’s profile as a global trade partner gains momentum. African Ports Evolution is strategically located with the 2nd annual African Rail Evolution Forum and Trade and Investment KwaZulu-Natal’s Export Week initiative to provide comprehensive access to strategic development for both coastal and hinterland trade.